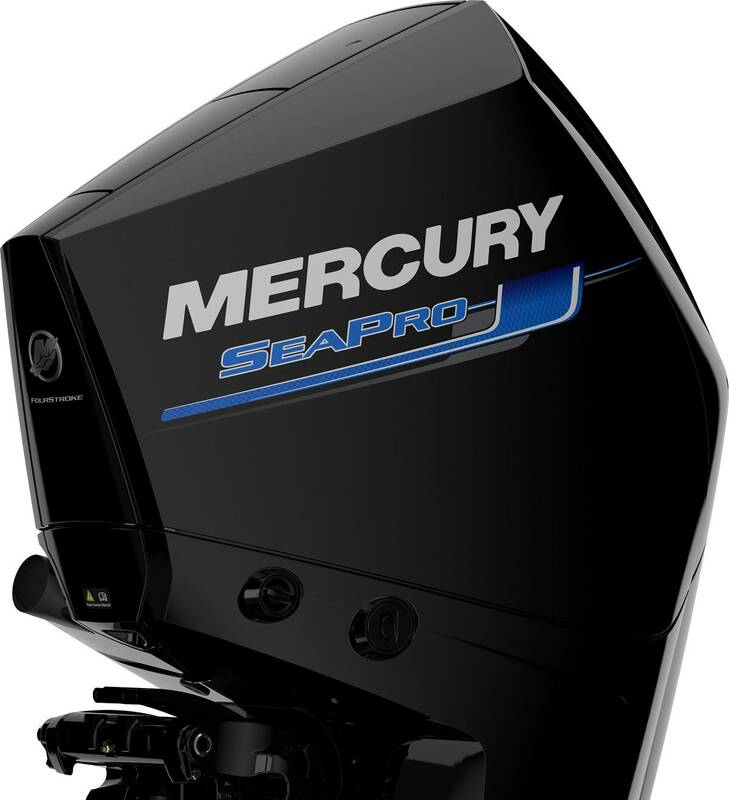 Marine propulsion and technology company Mercury Marine has expanded its SeaPro family of commercial outboard engines with two new V-8 4.6L models. Building on the launch of the V-6 200hp SeaPro in February, the new 225hp, 250hp and 300hp V-8 SeaPro engines give Mercury a full lineup of four-stroke commercial engines from 40 to 300hp. The new 225-300hp SeaPro FourStroke engines are designed to offer higher displacement at a lighter weight than competitor models. Each of the Conventional MidSection (CMS) SeaPro V-8 models is the lightest in its class. 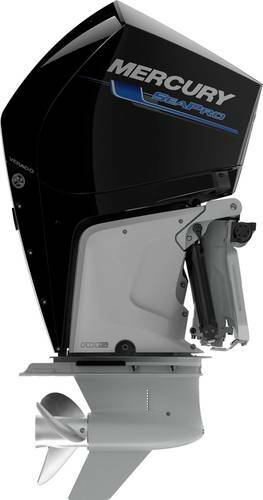 Mercury said it has calibrated the new V8 SeaPro models to produce plenty of torque at lower rpm levels, enabling users to work their outboards hard without placing excess stress on the engine, while their exceptionally compact, lightweight design and Advanced Range Optimization (ARO) maximize fuel economy at cruise. The new V-8 225-300hp SeaPro models are engineered to deliver years of trouble-free performance, Mercury said. They are manufactured with heavy-duty components to cope with the demands of global commercial operation – including a gearcase that is validated at three times the lifespan of a recreational gearcase. The new V-8 300hp SeaPro is available with Mercury’s exclusive Advanced MidSection (AMS), which moves engine mounts aft and outward to virtually eliminate vibration from being transmitted to the boat. In fact, transmitted vibration is a whopping 60 percent less than the leading competitor’s 300hp engine. Models equipped with the AMS also feature electro-hydraulic power steering and are compatible with Mercury’s Joystick Piloting system, which provides maximum control and maneuverability in multi-engine applications. Backed by SeaPro’s industry-leading warranty for commercial users that includes protection against corrosion, a significant advantage over competing products.